No matter what you thought of TRON: Legacy, it’s hard to argue with the cool factor of Daft Punk’s pulse-pounding electronic score for the 2010 film. 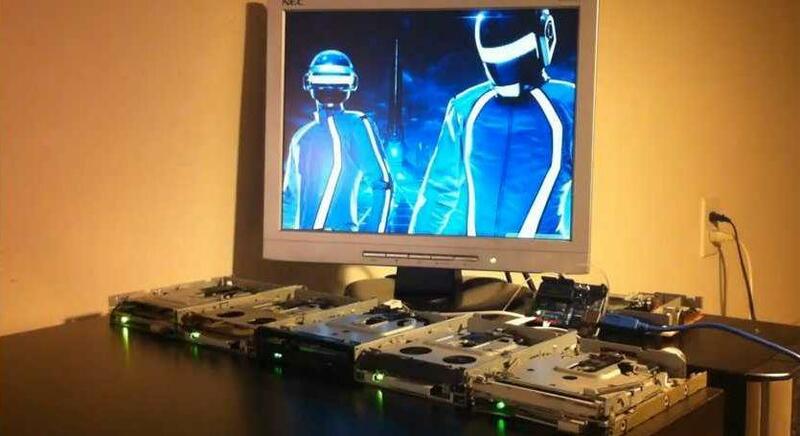 As if to further cement the digitized origins of the band’s theme for the film, “Derezzed,” an industrious programmer has created his own version of the song played by a quintet of old-school floppy-disc drives. As you can see (and hear) in the video below, the five drives perform a pretty impressive version of Daft Punk’s TRON track — though if you’re looking to compare the two, you can check out the original “Derezzed” video online. The creator of the floppy-drive version of the song, YouTube user MrSolidSnake745, has also made an mp3 of the track available.